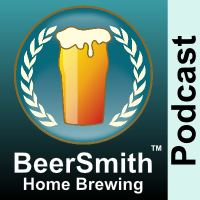 Drew Beechum and Denny Conn join me to discuss their new book Experimental Homebrewing (Amazon Affiliate link). Drew Beechum is author of the Everything Homebrew Book, The Homebrewer’s Journal and Everything Cider Book (All Amazon Affiliate links). Denny Conn is author of Craft Beer for the Homebrewer (Amazon Affiliate link) and also a nationally ranked beer judge. Thank you to our sponsor Craft Beer and Brewing Magazine who is still offering a 20% discount with your subscription when you use the offer code beersmith when you purchase. Also check out the new DVDs John Palmer and I filmed – How to Brew with Malt Extract is out now and How to Brew All Grain is coming in a few weeks! Denny shares with us the genesis of their new book Experimental Homebrewing and how it got started. Both guests share their closing thoughts! Thanks to Drew Beechum and Denny Conn for appearing on the show and also to you for listening!